Some drug addiction advocates and doctors are sounding the alarm about Ontario’s plan to de-list a number of highly potent painkillers beginning Jan. 1. They’re concerned the move will drive users to illegal drugs instead, raising the risk of overdoses and death. The decision to “de-list” means the province will stop covering the drugs under its social assistance plans, which currently support seniors and others on Ontario Disability Support Program (ODSP) and other programs. 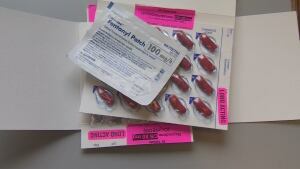 Among the drugs cut from the list are highly addictive opioids such as fentanyl patches. It’s part of the Ontario government’s new strategy to deal with the growing crisis of opioid addiction, overdoses and death in Ontario. 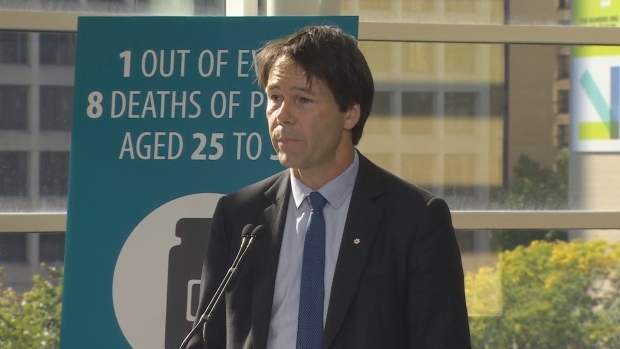 “I believe that this comprehensive strategy will propel us to the front of jurisdictions not just in Canada but worldwide in responding holistically and effectively to this growing opioid crisis,” said Health Minister Eric Hoskins on Wednesday. But some addiction specialists in Ottawa think the decision to de-list drugs could actually make things worse. “The risk of not making them available is that you’re going to drive people to the illicit market,” said Rob Boyd, the program director for the Oasis drug treatment program at the Sandy Hill Community Health Centre. He’s not the only addictions specialist voicing concern about the plan. “This is going to be the biggest mistake,” said Dr. Mark Ujjainwalla, who runs the Recovery Ottawa treatment program. Ujjainwalla is concerned many people using opiates will be driven to buy uncontrolled drugs, including what he calls “bootleg” fentanyl from illegal sources, with dangerous consequences. “Now they have to go to the street [and] it’s so potent and now the overdoses are going to go crazy and the crime rate is going to go crazy,” he said. “Rampant prescription abuse by doctors shouldn’t now be on the drug addict,” said Kelly, a recovering painkiller addict who is not using his last name to protect his privacy. Kelly said today’s drug abuse rates should be attributed to a generation of over-prescribing by doctors. He became addicted to painkillers during his recovery after being hit by a bus more than a dozen years ago, he said. He is now using methadone in treatment. Users on government assistance because of injuries that render them unable to work should not be handed this cut-off without an alternative plan, said Kelly. He added he’s frustrated government did not consult with addicts themselves. The underlying problem is not addressed by the province in its new plan, according to Ujjainwalla, who points to a lack of resources for dealing with both pain and addiction. Consider the long wait lists for knee surgery, hip replacements and back surgery, while physiotherapy, acupuncture and other pain management alternatives are not covered under provincial health plans, he said. It’s left doctors with few tools to deal with pain other than their prescription pads. While the province is de-listing potent drugs, it is not offering to expand treatment, he said. The Royal Ottawa Mental Health Centre with its dozen beds is the only full treatment centre serving the entire region.